We rotate our Literature and writing course each year between Ancient-Renaissance, British, and American literature. This course includes literature, vocabulary, the mechanics of grammar and writing, and connecting writing with other subjects such as history and science. Students will further develop their knowledge and command of literary devices, engage in literary analysis, and incorporate lessons into their personal writing. They will write a variety of essays including descriptive, narrative, persuasive, opinion, and comparison essays as well as complete timed writing exercises. We have added a tutoring section for high school students enrolled in Lone Star dual credit courses. American Government is a one-semester high school course that provides a half-year credit in government. Lessons cover Federal, state, and local government and also contemporary issues in government. We will explore the Biblical basis for government and on the U.S. Constitution. Economics will provide the other half-year of credit for the year. Students will understand economic terms and issues that have an impact on the United States and its citizens. Paired with our Financial Peace elective, students will survey Biblical teachings on money and finance, study an overview of the economic history of the United States, receive a clear explanation of terms and concepts used in economics, discuss economic issues confronting us today. The importance of the free market system will be emphasized. Apologia description: This course heavily emphasizes the vocabulary of biology, provides the student with a strong background in the scientific method, the five-kingdom classification scheme, microscopy, biochemistry, cellular biology, molecular and Mendelian genetics, evolution, dissection, and ecosystems. It also provides a complete survey of the five kingdoms in Creation. Students who take and understand this course will be very well-prepared for a tough university biology course. All labs will be completed in class. BJU Press description: Students will see God’s power and glory in creation as they learn about cellular biology, genetics, taxonomy, microbiology, botany, zoology, and human anatomy. When studying topics such as Creation and evolution, human cloning, abortion, and stem cell research, students are pointed to Scripture as the ultimate authority and are encouraged to develop a biblical perspective about these topics. This course provides a rigorous foundation in chemistry in order to prepare your student for college-level studies. We recommend that students taking this course be proficient at an algebra math level. Topics include significant figures, units, classification, the mole concept, stoichiometry, thermochemistry, thermodynamics, kinetics, acids and basics, redox reactions, solutions, atomic structure, Lewis structures, molecular geometry, gas laws, and equilibrium. This course provides a detailed introduction to the methods and concepts of general physics, heavily emphasizing vector analysis; this text is ideal preparation for a university-level physics course. It provides the student with a strong background in one-dimensional and two-dimensional motion, Newton’s laws and their application, gravity, work and energy, momentum, periodic motion, waves, optics, electrostatics, electrodynamics, electrical circuits, and magnetism. Our curriculum utilizes creative instruction to help every student develop a love for art and a healthy self-image in a way that emphasizes the value and talent of each individual. Students will move through units that explore the main elements of art: texture, form, space, shape, color, value and line, while navigating through artwork of some of history’s masters. This class meets twice per week. This course will help prepare students to take college entrance exams such as the PSAT, SAT, and/or ACT. Taken concurrently with the Economics course, students will learn practical money management skills and apply portions of the theoretical economic information from that course. 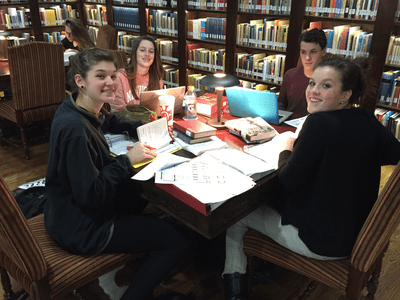 Our Spanish program teaches comprehension of the Latin language for reading purposes and encourages a wide range of approaches to language learning. Our Latin program teaches comprehension of the Latin language for reading purposes and encourages a wide range of approaches to language learning. This course will welcome students into the fascinating realm of formal, deductive logic. Formal logic studies how an argument is put together—the form or structure of an argument. It is intended to emphasize the practical and real-world application of soundly structured, deductive logic. Using methods such as Socratic dialogue, ample discussion, and integration of other subjects, it teaches the ways in which students learn best. Class meets once per week. Study hall is available if your student is taking only a few courses. This service is free to full-time students, and requires a minimum charge for part-time students. Motivated junior high and high school students will create a Yearbook for Liberty Classical. Working closely with a tutor, students will learn about the process of creating a yearbook. They will be responsible for taking pictures, arranging pages, and even writing for this book. This class is definitely an “extra” course that will require hard work and dedication. Students will sometimes meet with their Tutor on Liberty Days during Study Hall, Lunch or after classes. There will also be non-Liberty days when they will meet off campus to work on the yearbook. In addition, most of the work and assignments will be completed at home with the assistance of the Tutor via email. We are looking for highly motivated students who are interested in photography, writing, and willing to work extra hours to make an excellent yearbook for Liberty Classical that will be available for purchase at the end of the year. 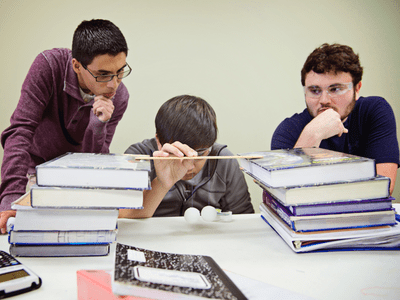 We offer math courses in Pre-Algebra, Algebra I, Geometry, Algebra II, and Pre-Calculus.